Foothill living at its finest. This spectacular 2005, 4 Bedroom, 3 Bathroom, Library, Bonus Room at 2845 sq ft home was built w/no corners cut. 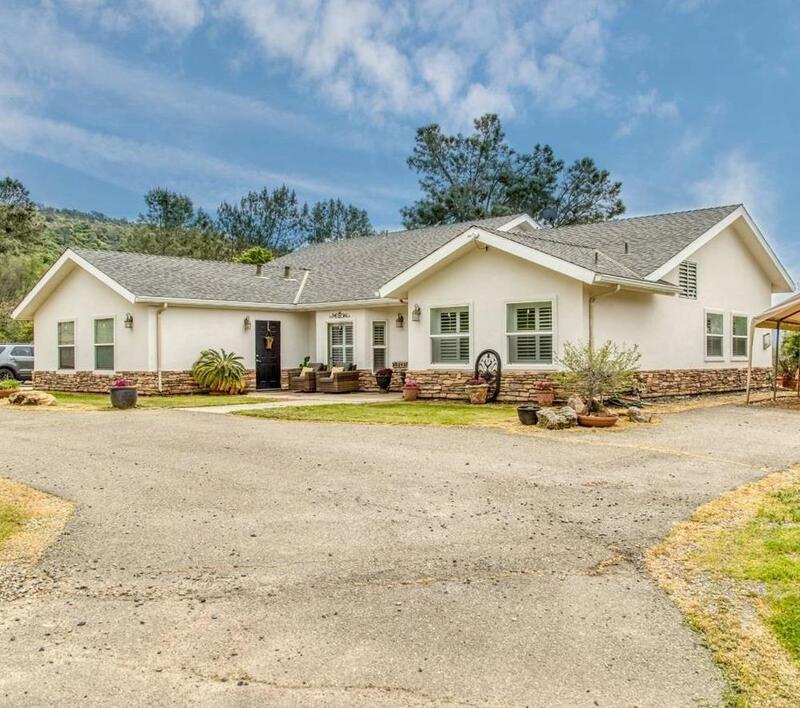 Nestled on a gorgeous 40 acres of rolling hills, cascading w/Majestic Oak Trees, ready to enjoy. Gourmet Kitchen has beautiful Black Granite, Stone-Natural Slate flooring, Samsung 5-burner gas stove, Birch Alder cabinets, Wine refrigerator, Stainless Steel Appliances and a Breakfast Bar that opens to the Great Room equipped with a cozy Fireplace. The main Master Bed also has a Fireplace, Oval tub and his&her closets. The 2nd Master Bath has a tile Shower/Tub w/tile flooring. The well-lit Library leads out to the back-courtyard area, built-in cabinets and a Murphy Bed. The Laundry/Mud Room lead to the outdoors. Plantation Shutters. Roof made of Structural Insulated Panel. Home is built w/Insulated Concrete Forms that are Fireproof, Energy Efficient, noiseless & provides healthier air. Radiant heat flooring. Fabulous home for entertaining.